- Where Cruise Ships Dock, Getting Around, To See and Do, Excursions and Tours. In the last weeks of 2017 and early 2018, there were reports about a surge in violent crime in the area of Montego Bay. The Jamaican Government has ordered a military surveillance of the area and advised visitors to only use authorized tourist services. IQCruising strongly recommends cruise travelers to be cautious but also not to panic as many 'news' are exaggerated out of sheer sensationalism. Until further updated news, exploring Montego Bay on Your Own may not be the best option - cruise travelers should check for safety updates with the Tourist Office in the Port Terminal. Montego Bay is a popular port of call for cruise lines like Carnival, MSC, Pullmantur, and NCL but also Viking or Cunard. Cruise ships dock in what is known as Montego Bay Freeport which is around 3 miles (5 km) to the west of the second largest city in Jamaica. With 6 berths, the Port receives as many as 4 cruise ships per day - although this rare. There is only one large Terminal building (a bit run down) that doesn't compare in modernity and amenities to the recently redeveloped port of Falmouth but that has all basic services. Besides a number of typical duty-free and souvenir shops, restrooms, and beverage stand, there is also a Tourist Office booth at the terminal that can be of help to guide the cruise traveler wishing to explore Montego Bay on your own - also the right place to ask about what are official taxi fares. Because the Cruise Port is not close to Montego Bay's attractions or any of the island's highlights, a 3-mile walk is not really an option - no shade, very hot and humid. The way to town is along a busy road - the main exit to the south of Jamaica - and, unless the weather is cool and you have been in Mo'Bay before, the walk is not advisable even if you are planning to just go Downtown (the closest attraction to the Port) or a bit farther to the Doctor's Cave Beach. The good news is that right outside the Terminal the cruise traveler will find licensed taxi drivers with 'official' rates to all major attractions - a ride to Montego Bay shouldn't cost more than $5.00 and a taxi ride to Negril - 1 Hour and 15 Minutes - costs around $24.00 per person. The days when haggling was mandatory to avoid a serious rip-off are long gone. Almost all destinations have standard fares and these only depend on how many passengers will be in the cab - check caribya.com or juta.com for Taxi Fares. However, be aware that to return to the ship, taxi drivers in town (or wherever you heading) may try to increase the return fare. 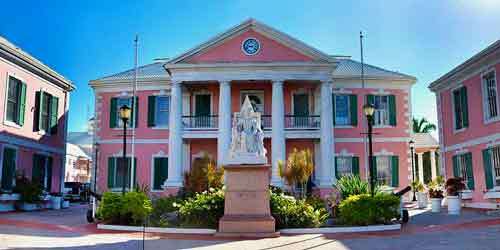 Cruise travelers planning to visit exclusively the historical center of Montego Bay will be better off by getting on the Hop-On Hop-Off bus aka Hot Spot Shuttle - $15.00 per person. Some cruise lines (Carnival) sell the Hot Spot Shuttle onboard for a couple of dollars more than the regular rate. The shuttle has stops close to all main attractions in Mo'Bay - Hip-Strip, Margaritaville, Doctors Cave and Downtown. There are a few interesting attractions in Mo'Bay or relatively close by. In the heart of the city, on Sam Sharpe Square, you will find the Cage (a monument evoking the days of slavery) and the Montego Bay Cultural Centre - an extension of the National Gallery of Jamaica. On a more active note, Jimmy Buffet's Margaritaville is, together with Doctor's Cave Beach, one of the main attractions in town. For all other top attractions near by you should either book a tour onboard your cruise ship, with independent tour operators online or a licensed taxi driver. The Rose Hall Great House is another must see, where besides eerie stories of ghosts and witches, there are two championship golf courses - Cinnamon Hill and White Witch. If your cruise calls at Montego Bay on a Tuesday or a Friday, you should consider an unusual tour to a working plantation - coffee and pineapples - in Croydon by the Catadupa Mountain. If Golf is your thing, the Tryall Club is a famous luxury must in Jamaica, whilst at the more affordable Half Moon Golf Club there are also other activities on the property such as the Equestrian Centre and an area with duty-free shopping. Further along the north coast, Braco Stables offer a unique Ride n' Swim experience; the Hampden Estate offers a journey into the heart of a working rum distillery established in 1750. At the Rasta Village, visitors can learn about the ways of Rastafari, participate in organic farming and learn to make traditional crafts. 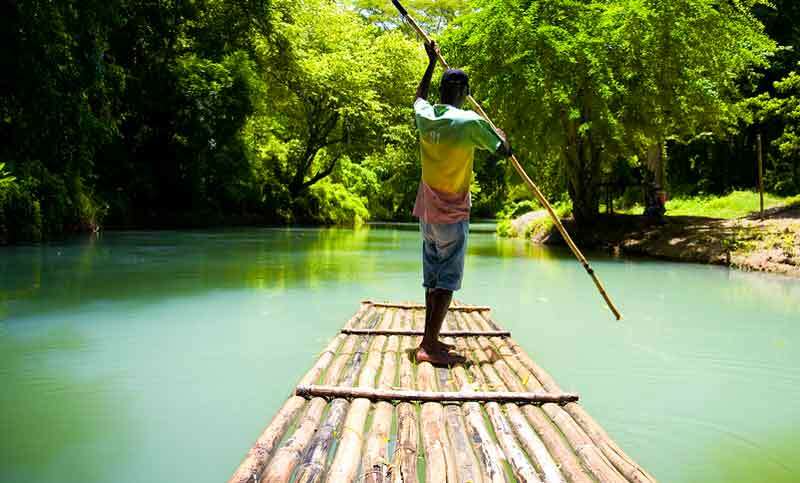 Around twenty miles from Montego Bay, rafting on a 30 ft bamboo raft in Martha Brae is one of the top highlights of Jamaica and an opportunity for the cruise traveler to experience a truly unique tour. Rafting is also possible in the Mountain Valley. All cruise lines offer excellent shore excursions (aka Shorex) and tours of Montego Bay. Besides the sightseeing options mentioned above, the cruise traveler should consider independent tour operators such as Jamaica Tour | Viator | Tours by Locals | Shore Trips | Shore Excursions. 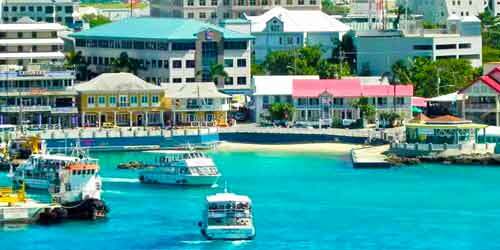 Montego Bay has excellent information provided by official websites that can be very helpful for the cruise traveler to explore and discover major attractions, restaurants, shopping, activities and tours. 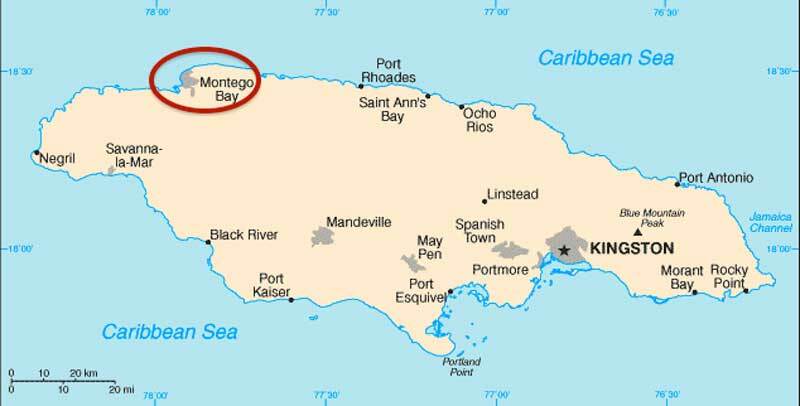 Useful Links: Montego Bay Port Authority | Jamaica Tourist Board | Caribbean Tourism Organization (CTO). Discover the Historical Port of Falmouth, What's at The Pier, Port Tours and main Attractions close by. Discover all Caribbean Port Reviews - Key West, Grand Turk, Cozumel, St. Thomas, St. Martin, Saint Kitts, Antigua, Aruba, Curaçao and also Miami. 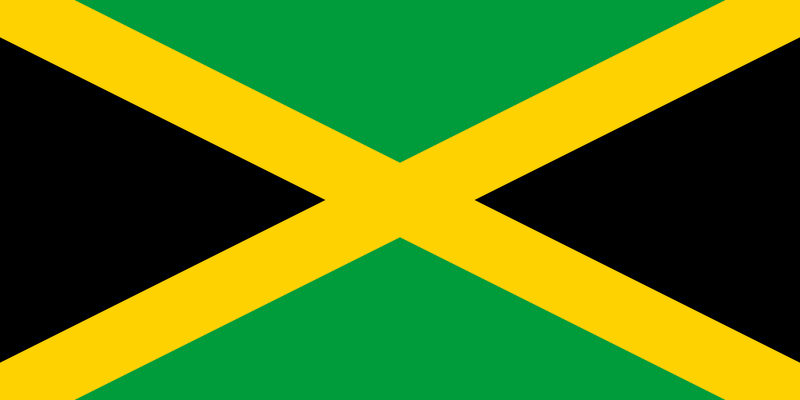 Montego Bay and Jamaica are on Eastern Standard Time (EST) - 5 hours behind Coordinated Universal Time (UTC). This time zone is often called Eastern Time Zone. Eastern Standard Time in Jamaica doesn't use daylight saving time/summer time. Currency: Jamaican Dollars are the legal tender but US dollars are widely accepted. A tip is not obligatory but a small amount left for excellent service is greatly appreciated specially on tours and restaurants. Perfectly acceptable and expected on craft markets, souvenirs and duty-free shops but not at all on officially rated taxis. With close to 5 million passengers per year the Cruise Port of Miami is the busiest in the World - disembarking/embarking can be at times frustrating but there are some good insiders tips to discover. Cozumel is the largest island in Mexico and the most popular cruise ship port in the Caribbean. Costa Maya offers a great variety of experiences: enjoy a relaxing day in pristine beaches,in active pursuits or exploring spectacular Mayan archaeological sites. In Grand Turk the cruise docks in a pier next to a stunning beach: this is an invitation to spend the day basking in the sun, swimming, snorkeling and enjoying all sorts of water activities. It will be difficult to find a cruise traveler that has been in Key West whom will not have anything but words of praise for this Port of Call. Meandering the streets of Cartagena's Walled Old City - a listed UNESCO World Heritage site - is a memorable experience not be missed. It is advisable to confirm details with local tourist information before planning your cruise, excursion or tour of Montego Bay.